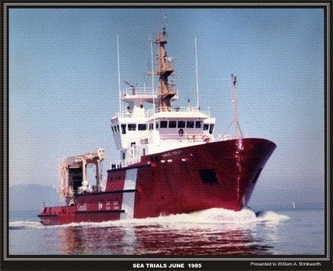 The CCGS SAMUEL RISLEY was, next to the last vessel built by Vito's shipyard, here on the West coast of BC, before closing. 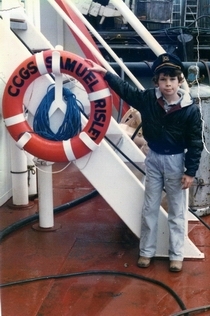 It was a really beautiful vessel, and my Sons and I visited every opportunity we could. 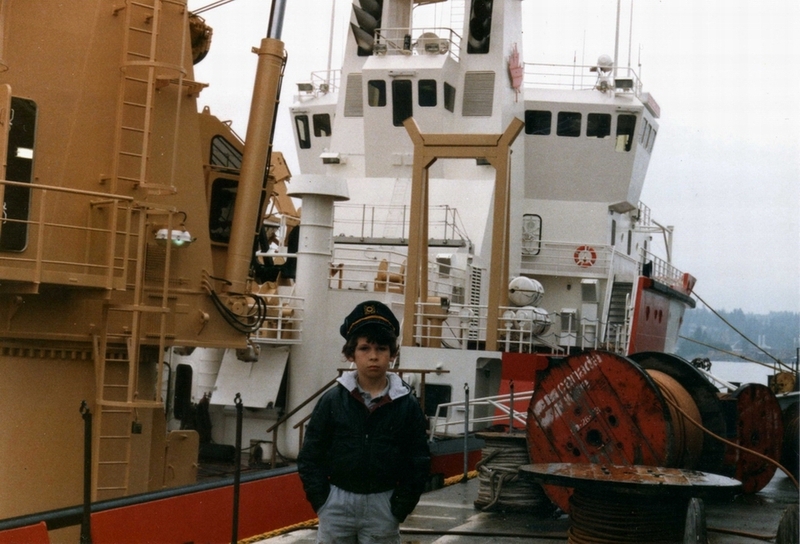 Picture on the left was taken in 1985 of my youngest Son Bill, during the vessel's final days of construction. 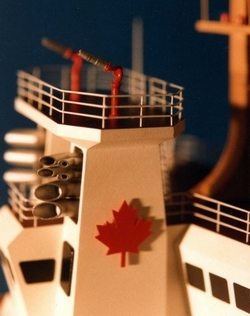 We watched, and photographed it's progress, from just a shell, to it's sea trials and it's final completion. 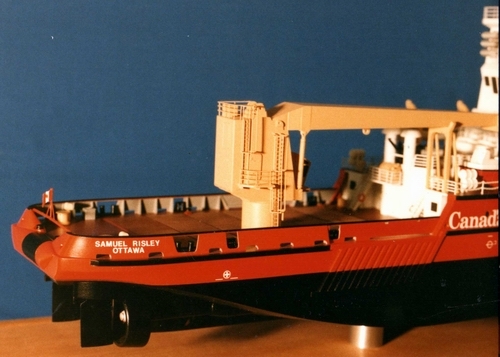 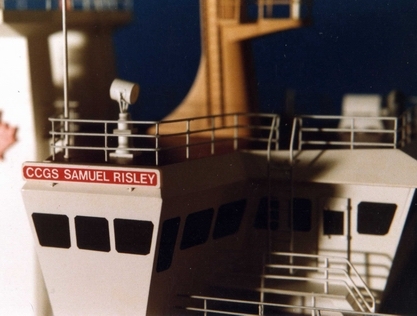 We had been commissioned to build a 1:100 scale model of the Samuel Risley, and it was one of the most interesting projects that we had ever undertaken. 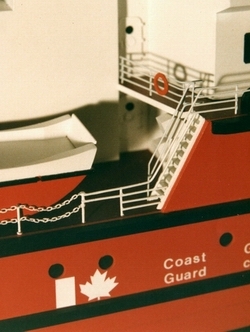 Mr. Vito Trevisi, owner of the shipyard and his staff, were a great group of people to work with, and helped us in any way they could in our task of photographing the superstructure. 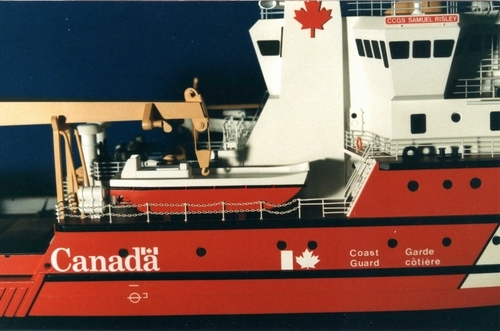 The picture (inset above right), was presented to my Son, by the Chief Engineer, at the completion of it's sea trials. 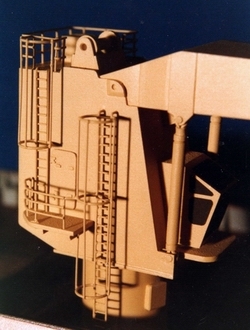 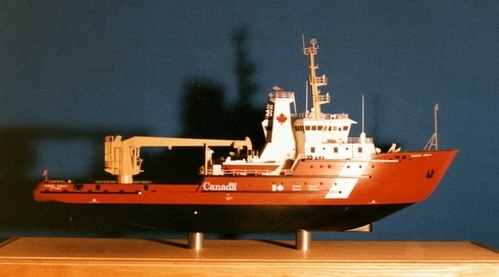 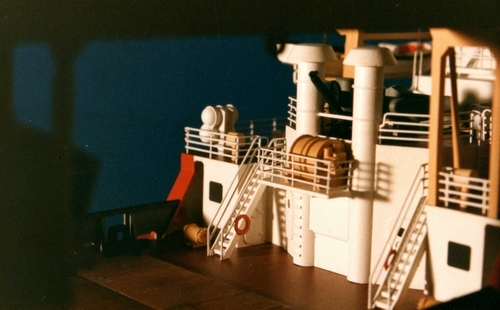 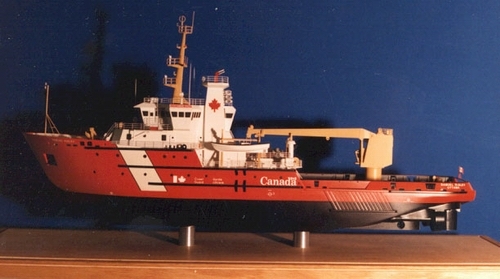 Only one model was commissioned (below) by the Canadian Coast Guard Authority.